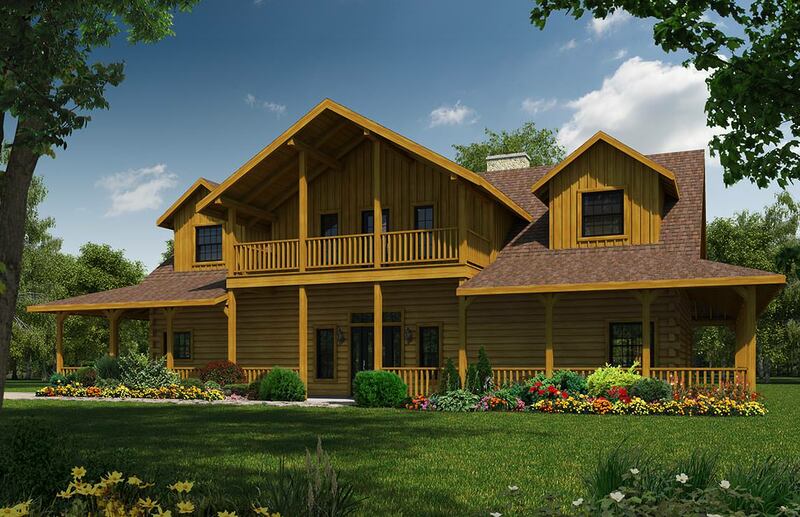 The Stone Ridge is the largest of the three bedroom designs from Satterwhite's standard floor plan series. 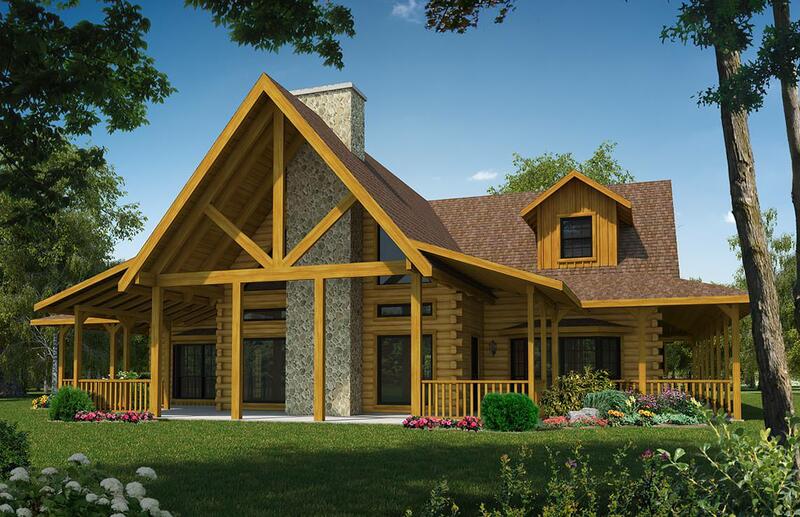 Both the front and read appoaches offer imposing elevations - one with a central fireplace, the other with a second floor balcony that is accessible from a loft play room or office space inside. The main floor of the Stone Ridge features an expanded family room with entry, guest half-bath, and a nook for a small home office in a space that is easily converted to a wet bar. The family room is expansive, and open to the large kitchen and dining area. A large utility room with pantry is convenient to the kitch, while a master bedroom suite occupies the opposite side of the home, complete with his and her closets, a large shower, and an inviting corner spa tub. Upstairs, two bedroom suites each complete with walk in closets and bathrooms complete this appealing plan.